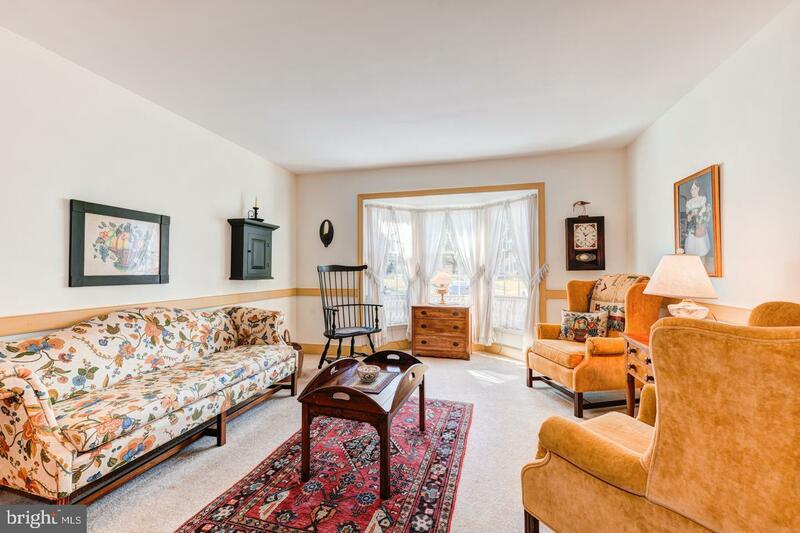 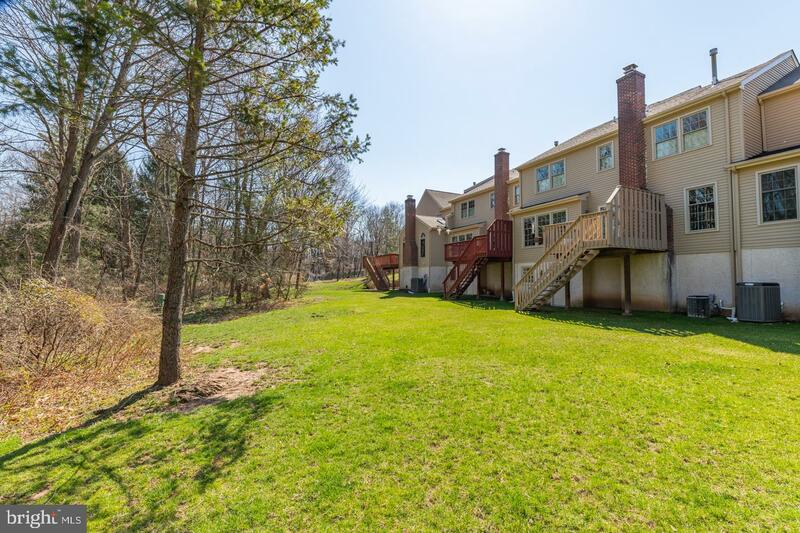 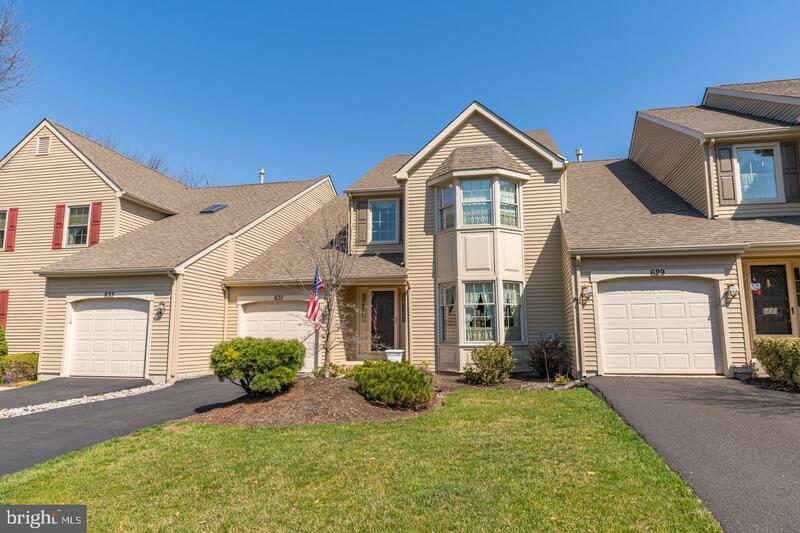 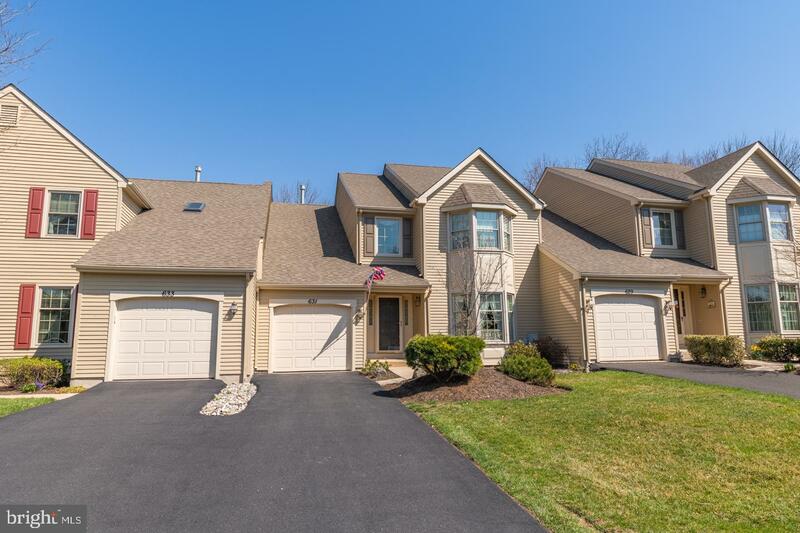 Nestled in the best location of Meadow Ridge, facing the woods out back, this 3BR/2.5BA well-maintained colonial times town-home welcomes you through its bright and airy front door. 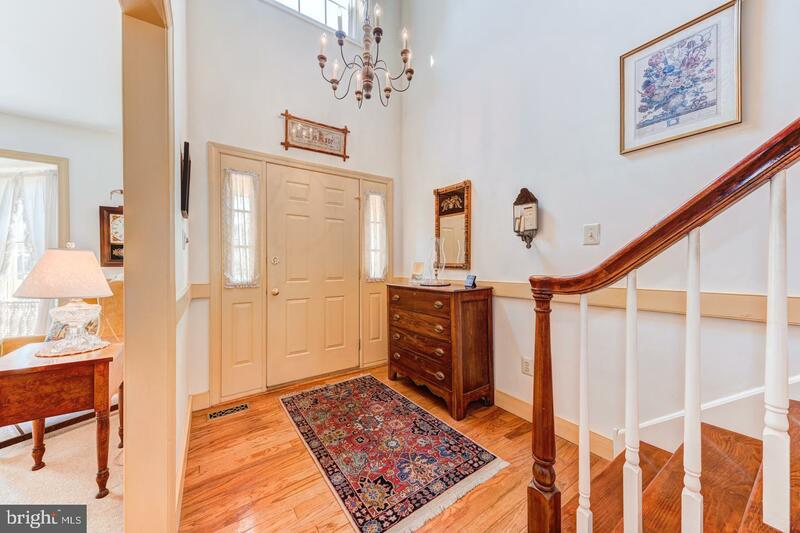 A beautiful two-story foyer with hardwood floors starts you off down the hall which flanks a formal living room with beautiful window overlooking the development/front yard and amply-sized dining room. 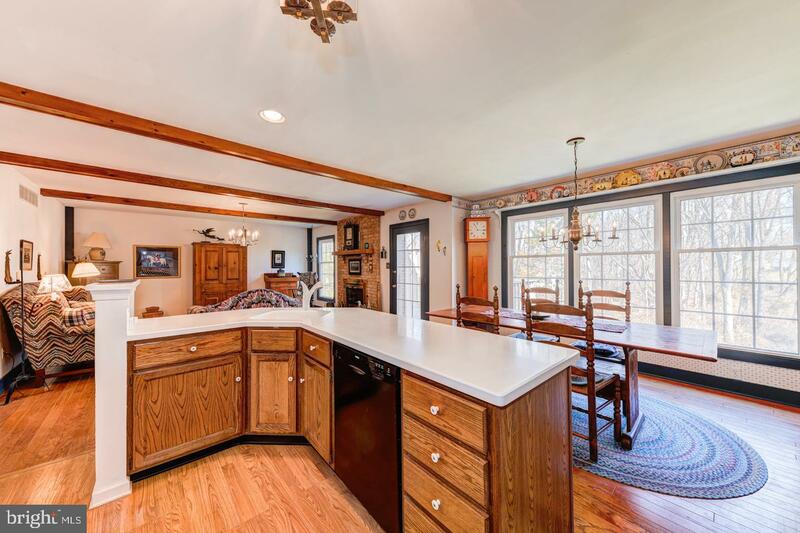 Chair-rail clings the perimeter of both rooms leading into an open kitchen with island, under-mount sink, corian counters, copious cabinet space and hardwood floors. 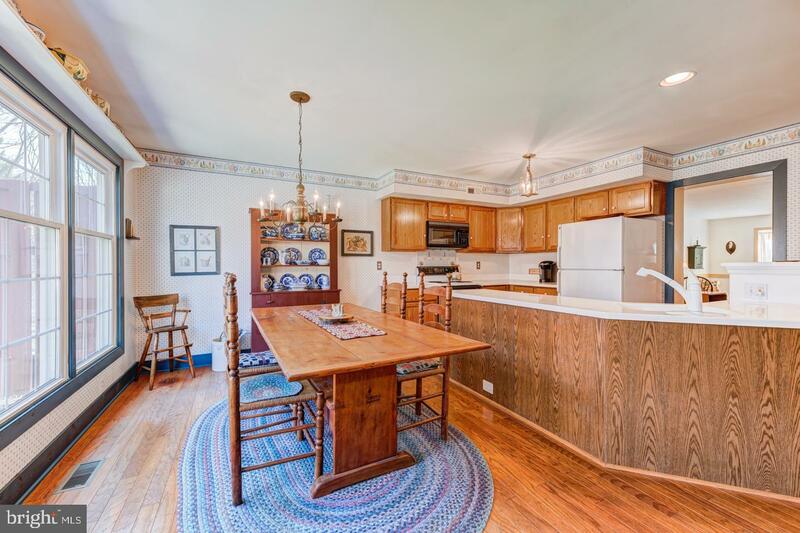 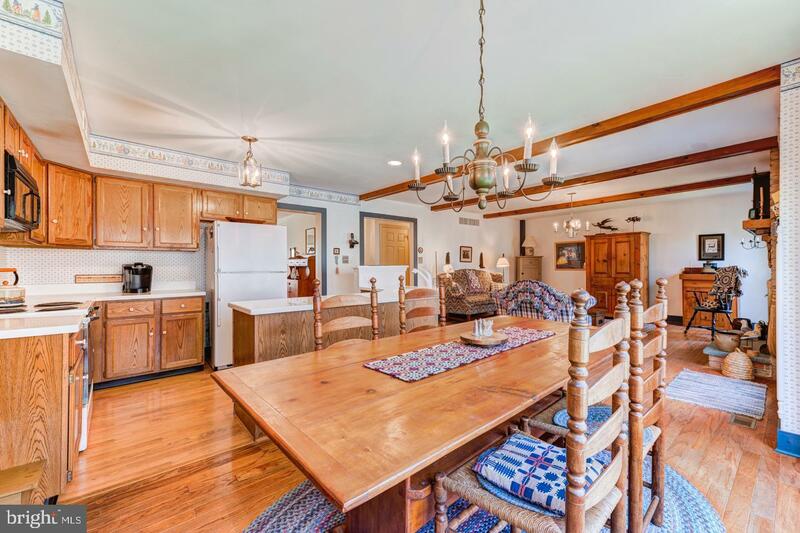 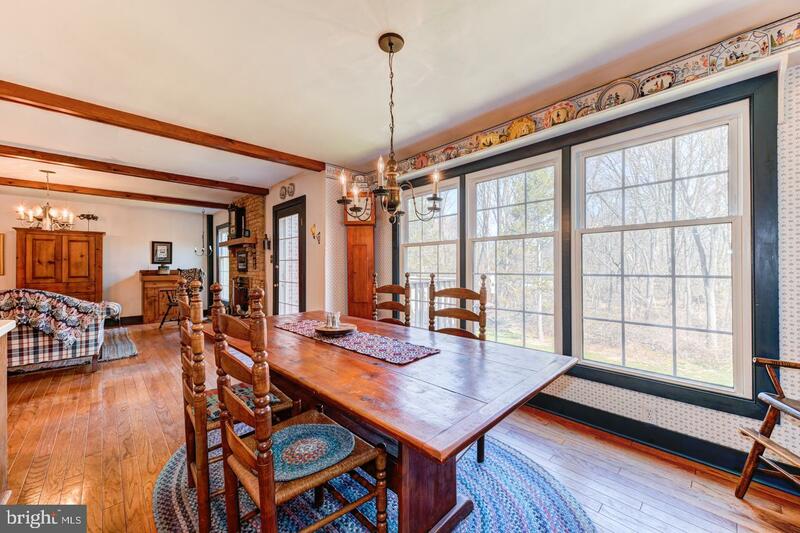 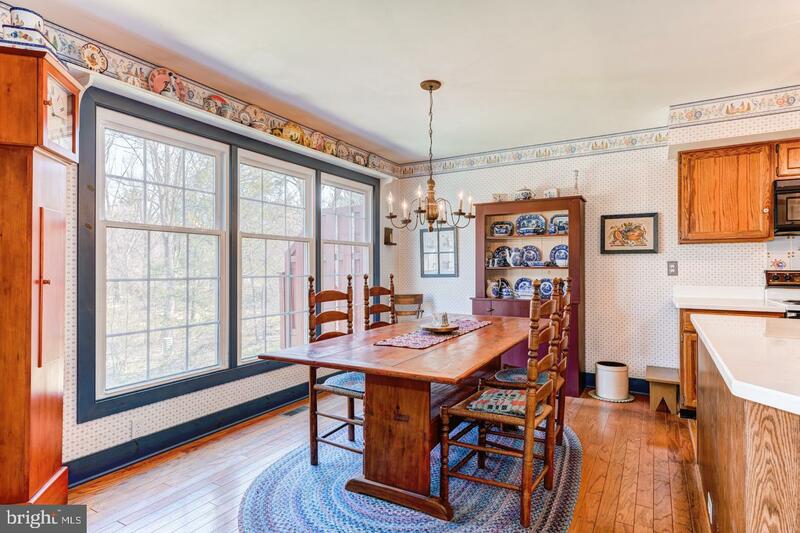 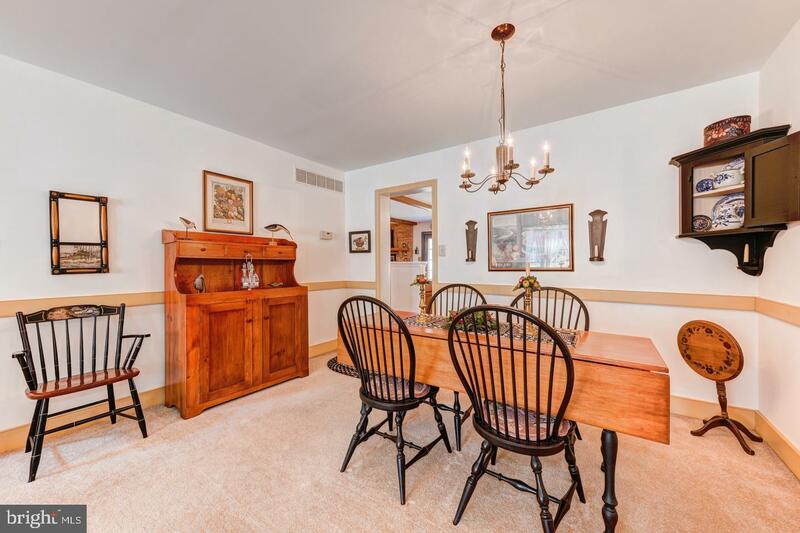 A breakfast nook off the kitchen overlooks the picturesque wooded setting out back. 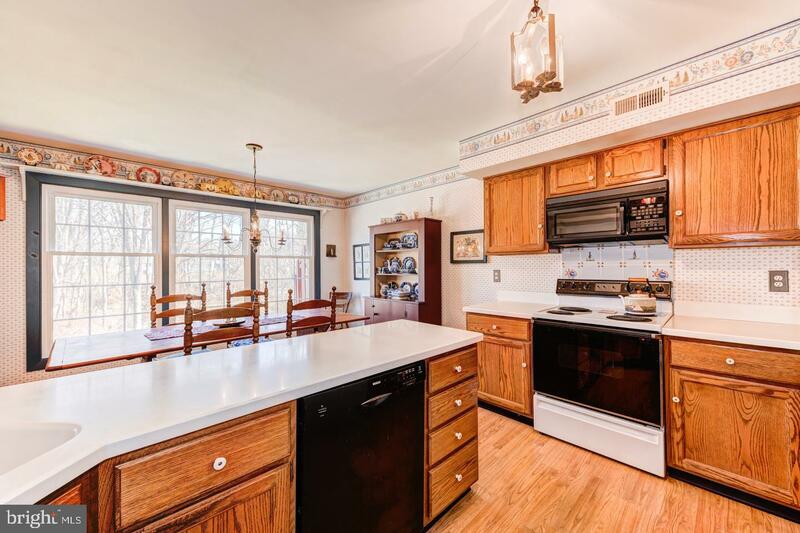 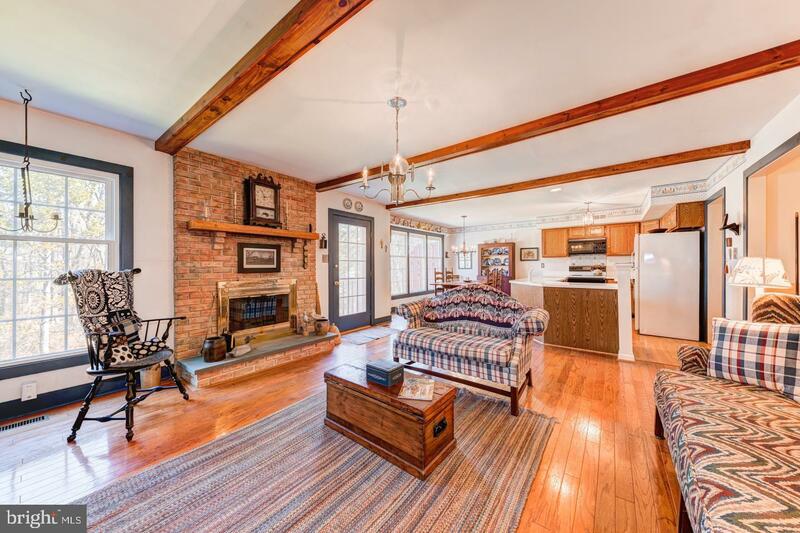 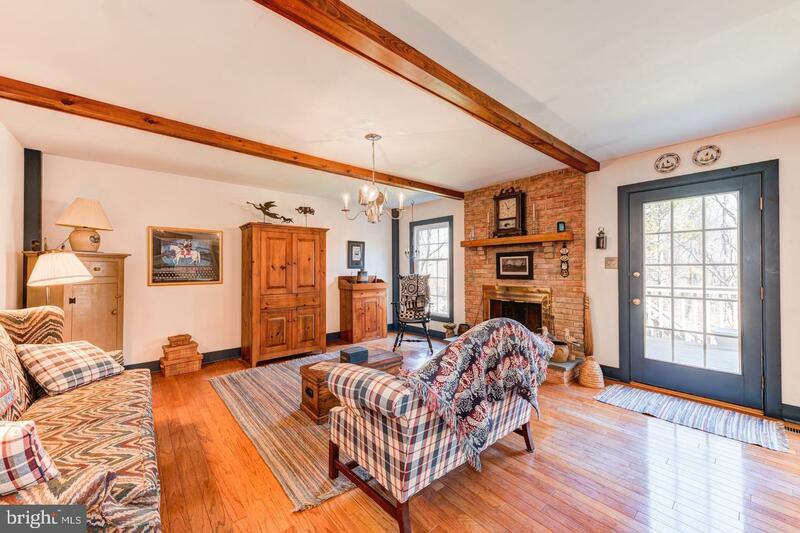 Off the kitchen to your left is a wonderful family room complete with a gorgeous brick fireplace and mantle, wood beams lining the ceiling and hardwood floors, leading you outside to a serene, cozy deck perfect for that morning coffee. 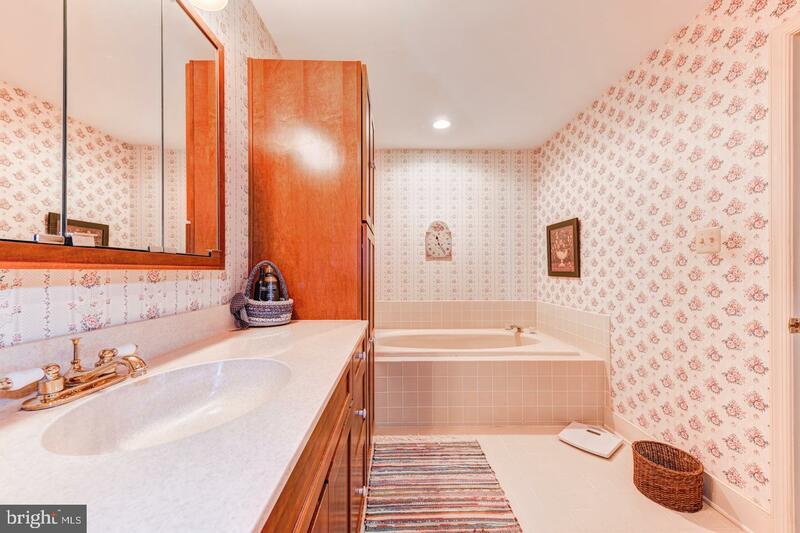 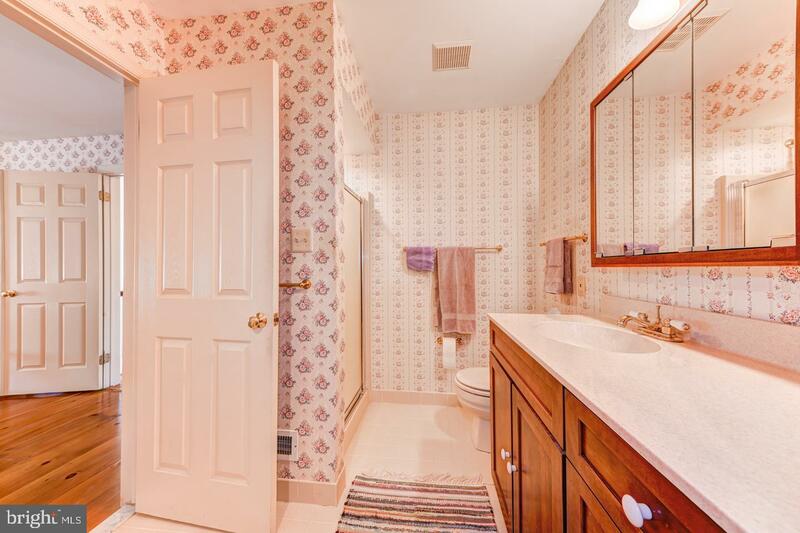 A powder room and garage round out the first floor. 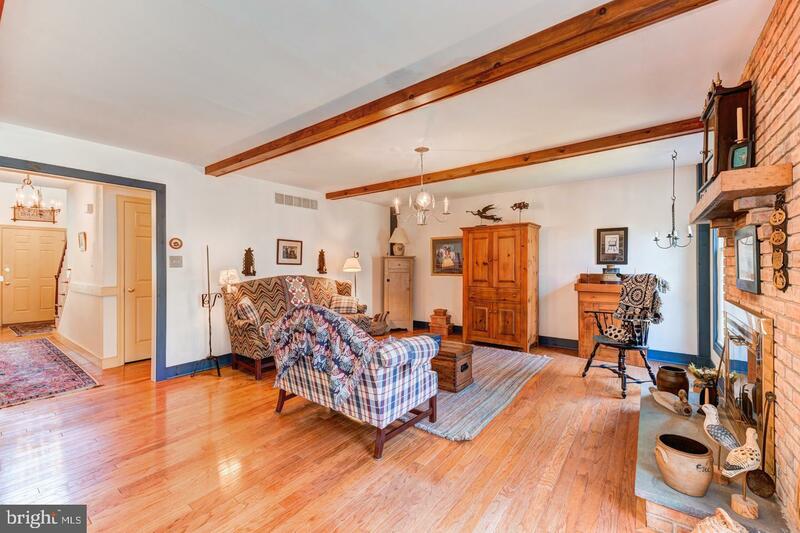 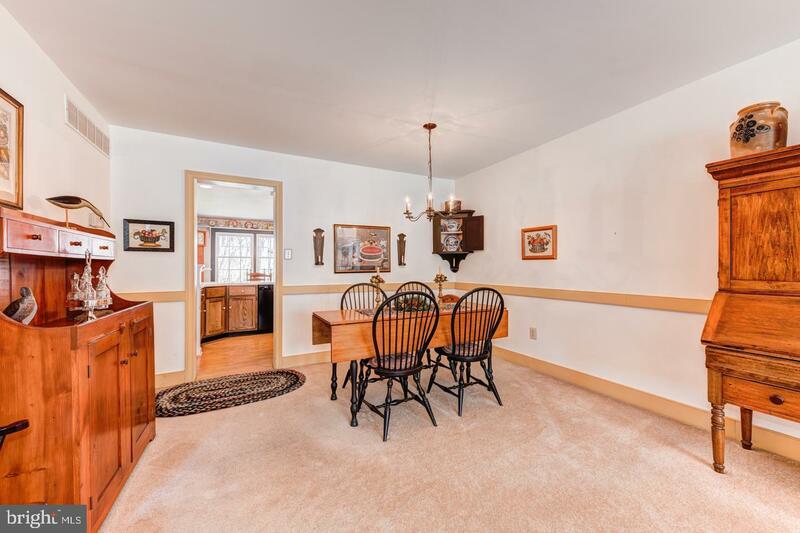 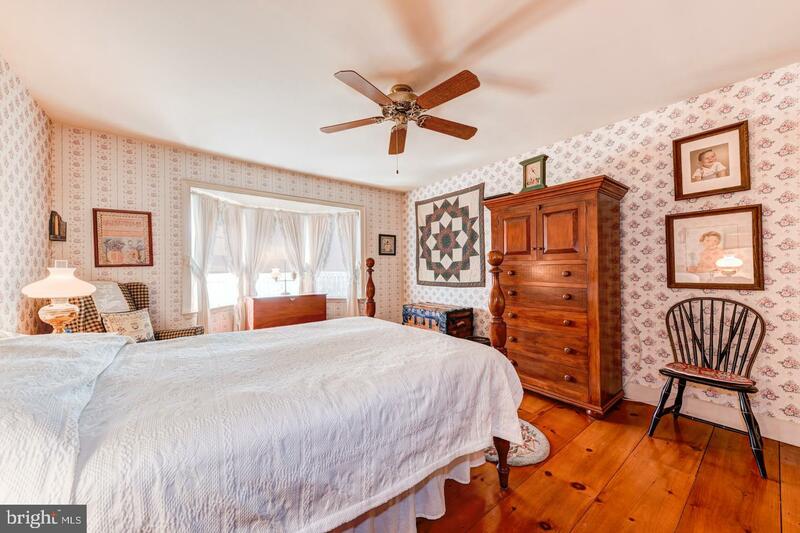 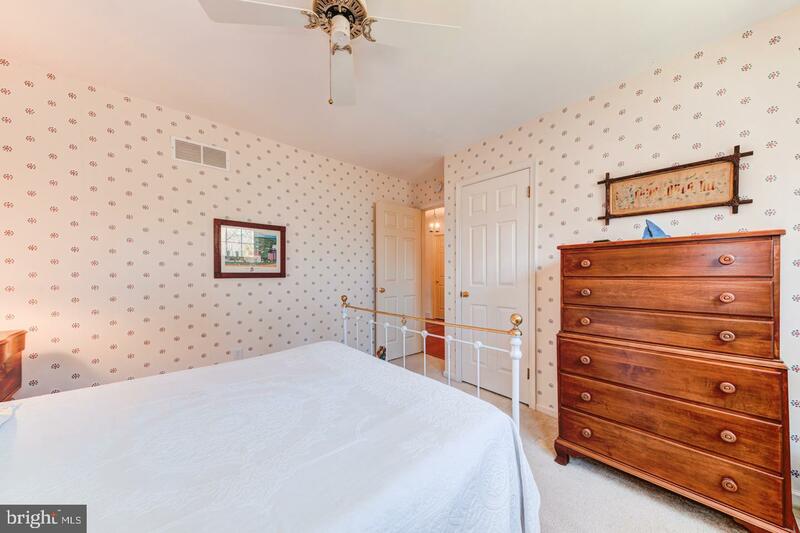 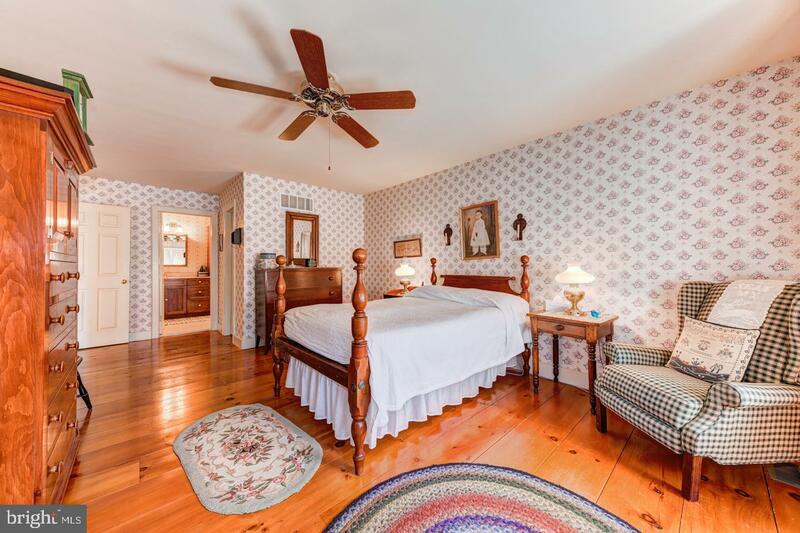 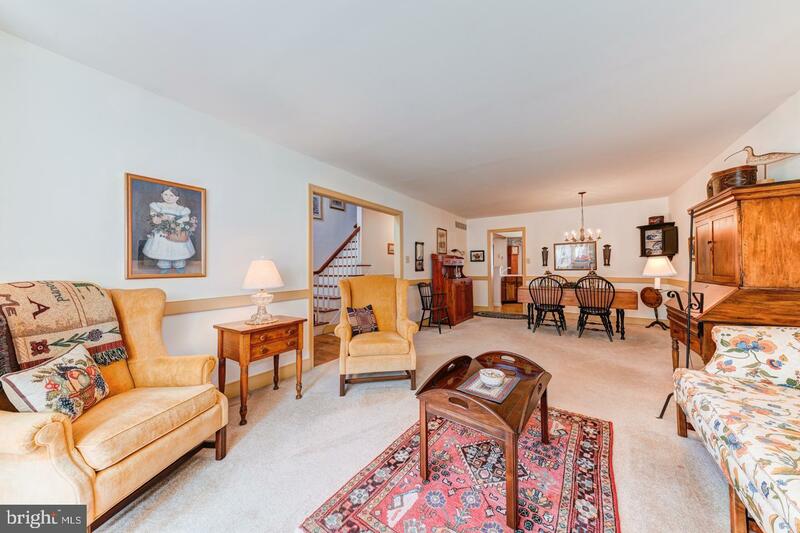 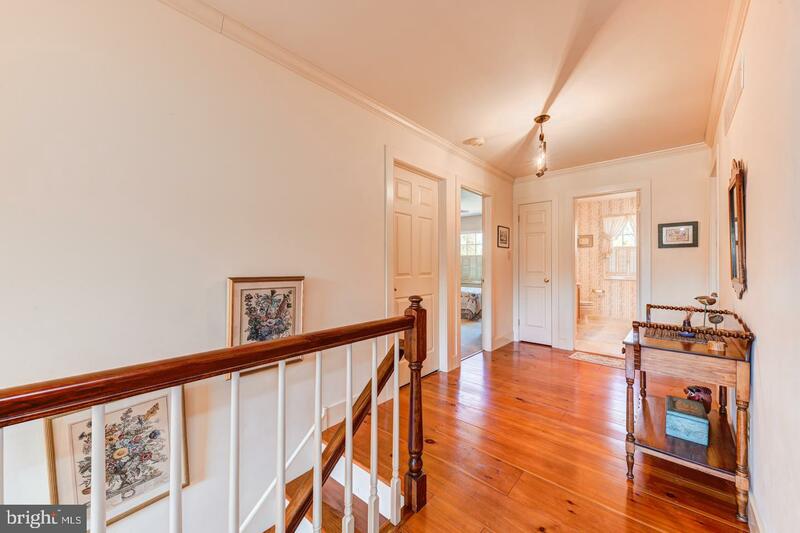 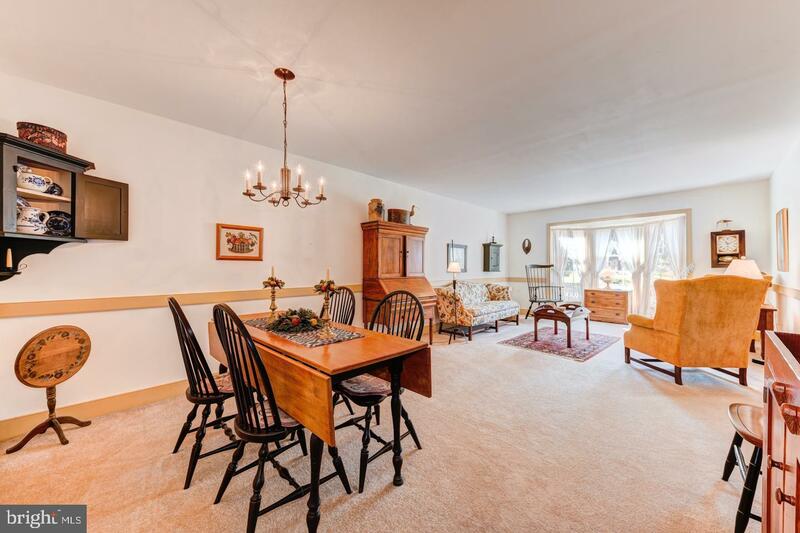 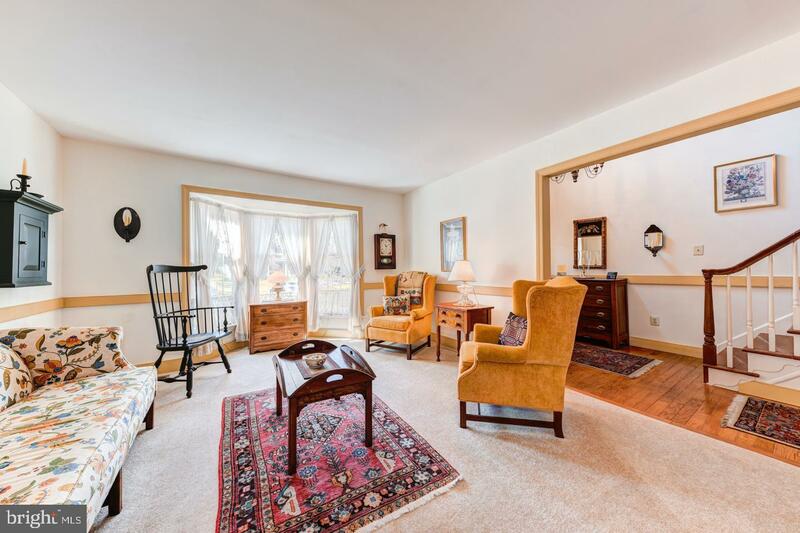 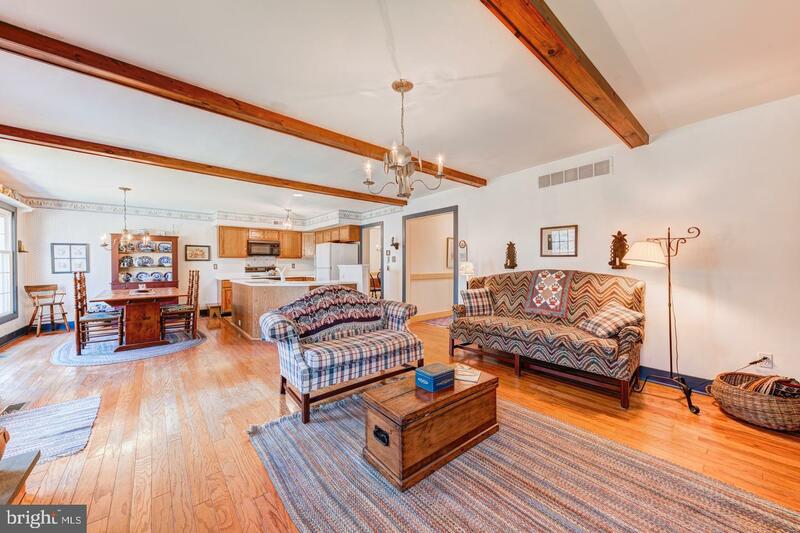 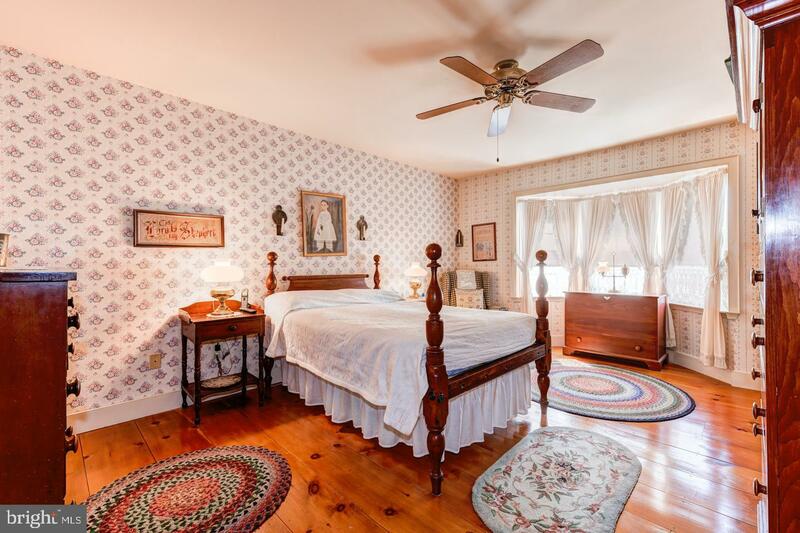 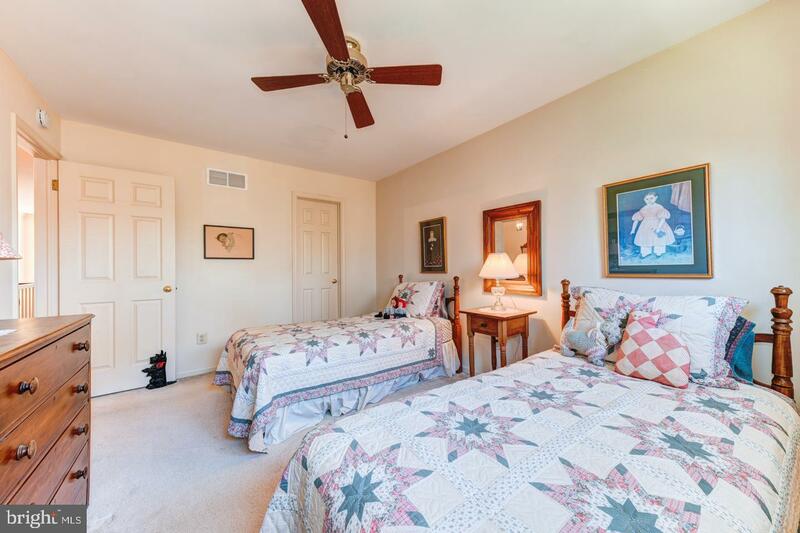 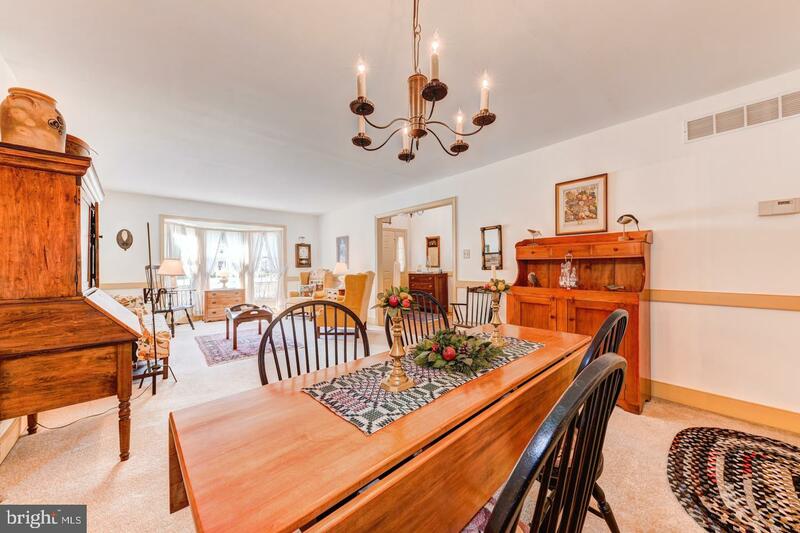 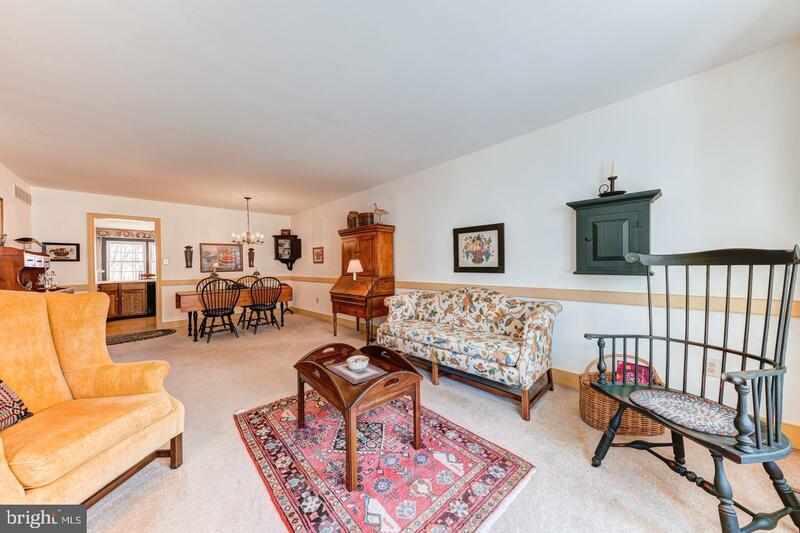 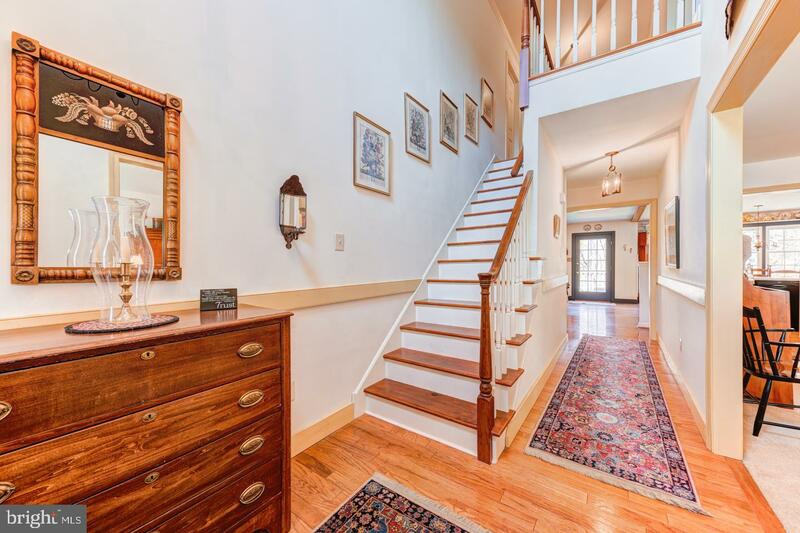 Upstairs you are met by absolutely stunning wide-plank pine floors in the hallway and master bedroom. 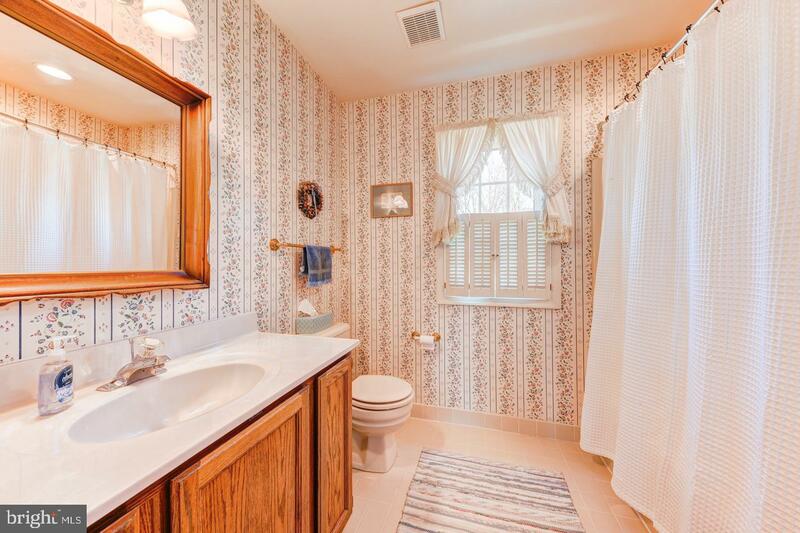 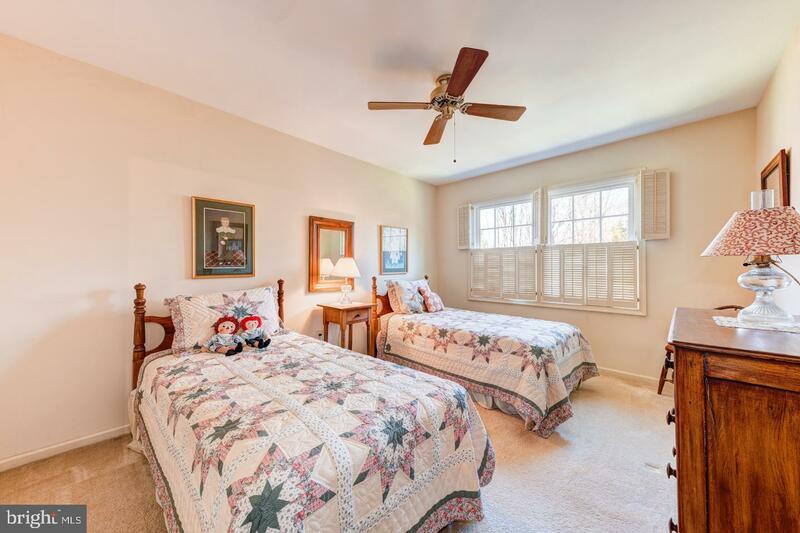 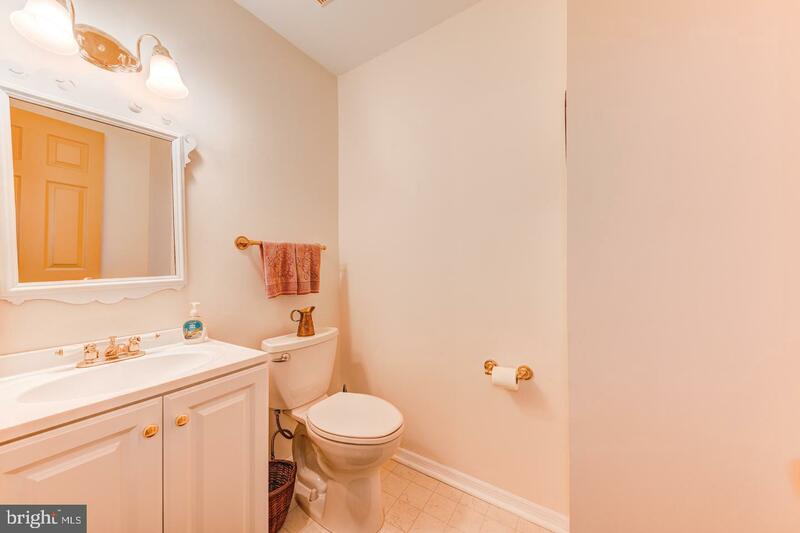 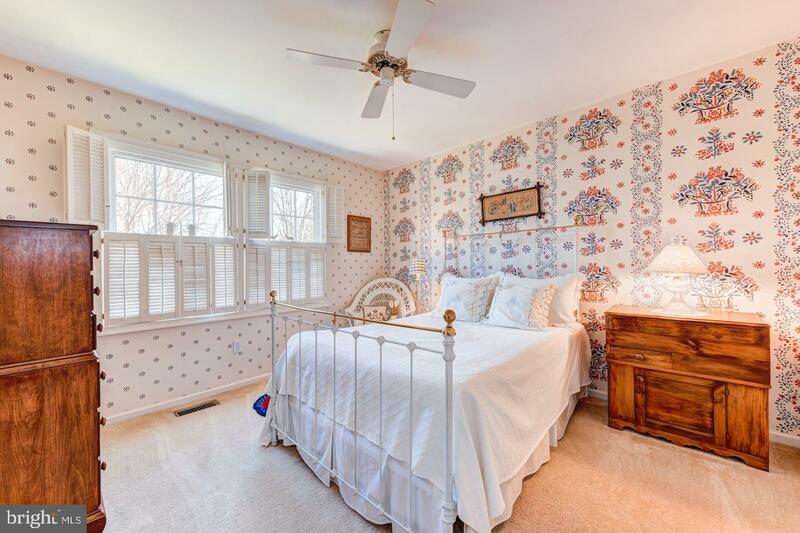 The master bedroom welcomes you with a space bigger than most single homes, continuation of the gorgeous pine floors, walk-in-closet and master bath complete with tile floors, sunken tub, and vanity with built-in closet. 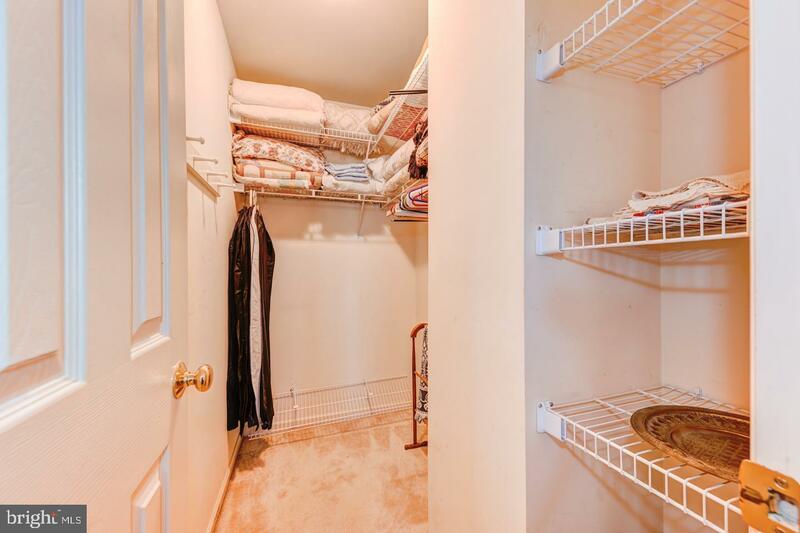 The second bedroom has another walk-in closet for extra storage, and a spacious hall bath, 3rd bedroom and laundry area round out the top floor. 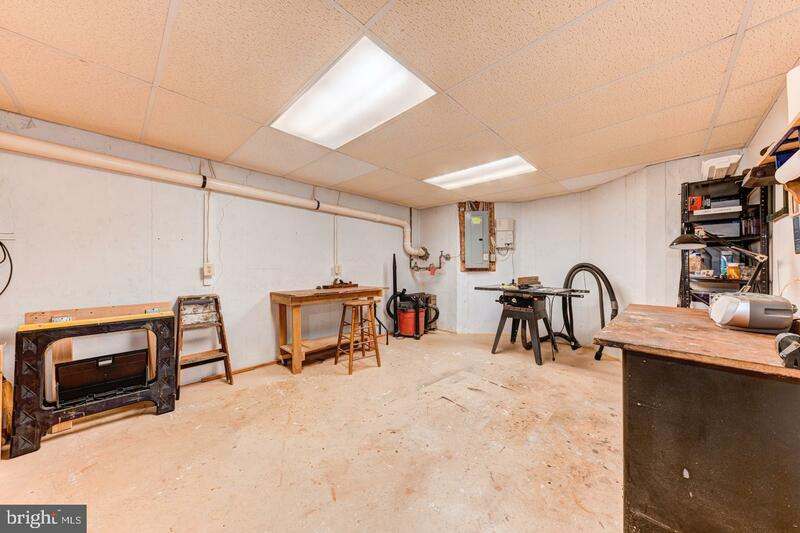 The basement is 3/4 finishes with just ceiling needed, workshop area and storage area complete with bookcase shelving and regular shelving. 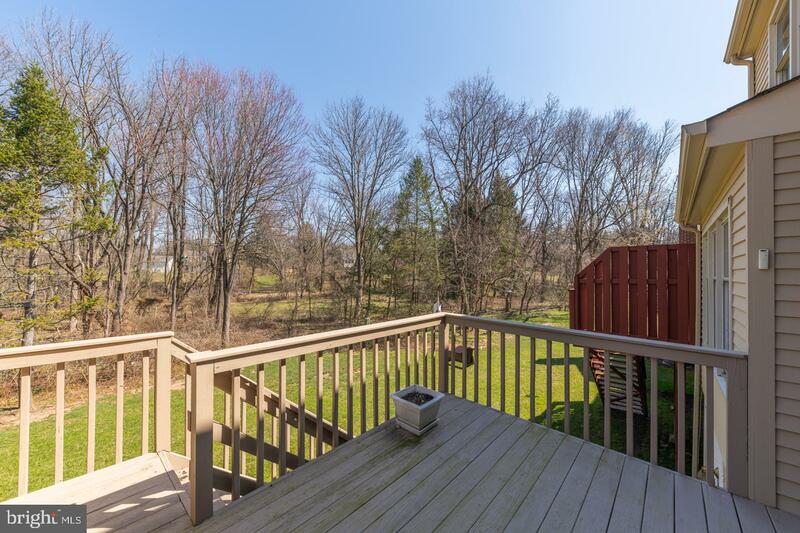 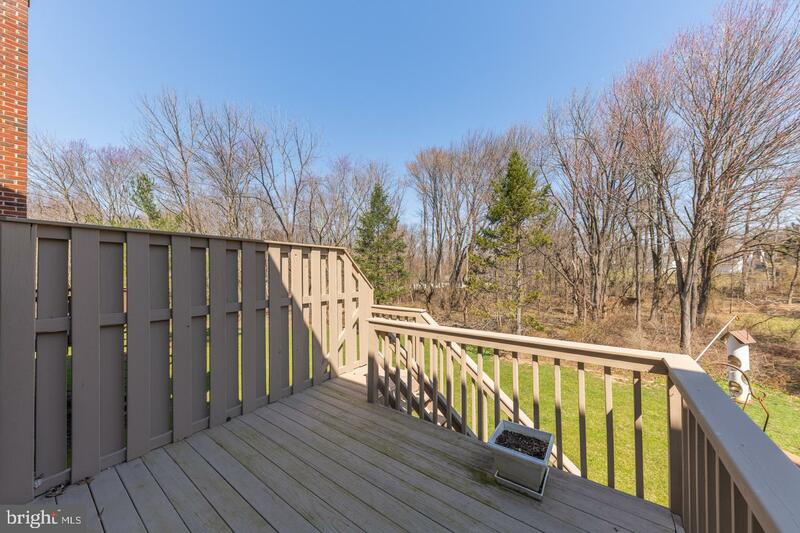 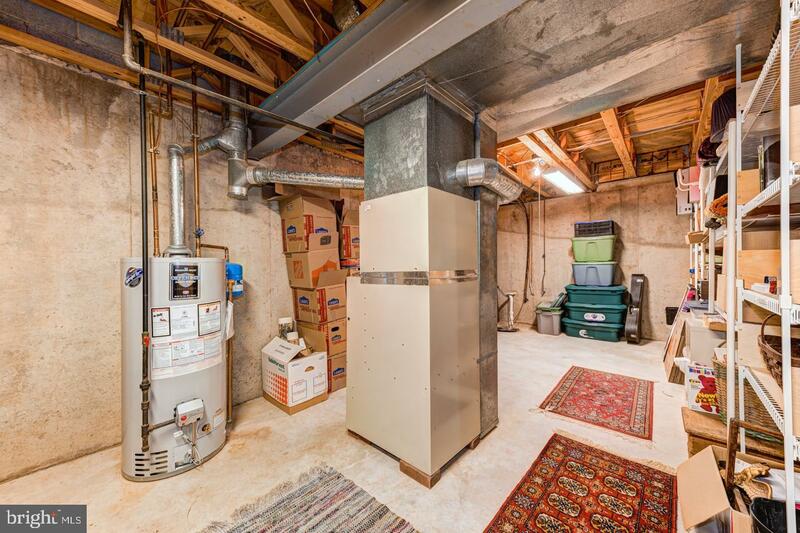 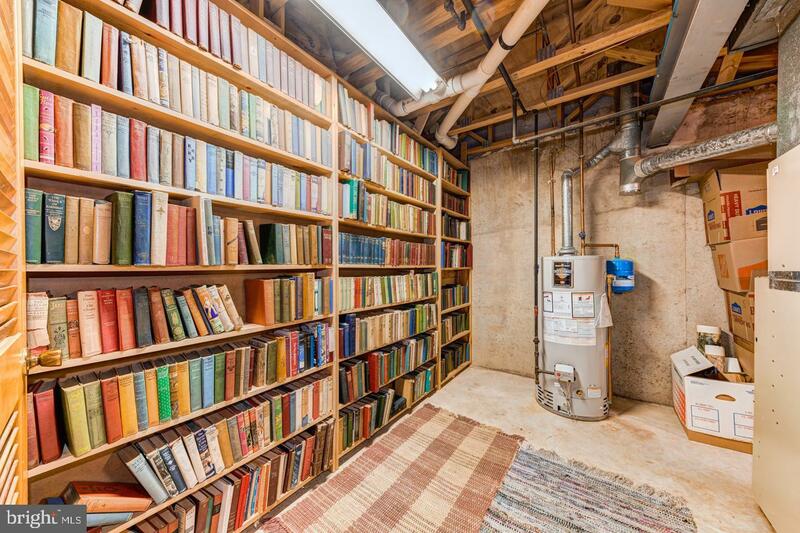 A awalk-out basement leads to a peaceful outdoor setting to the woods. 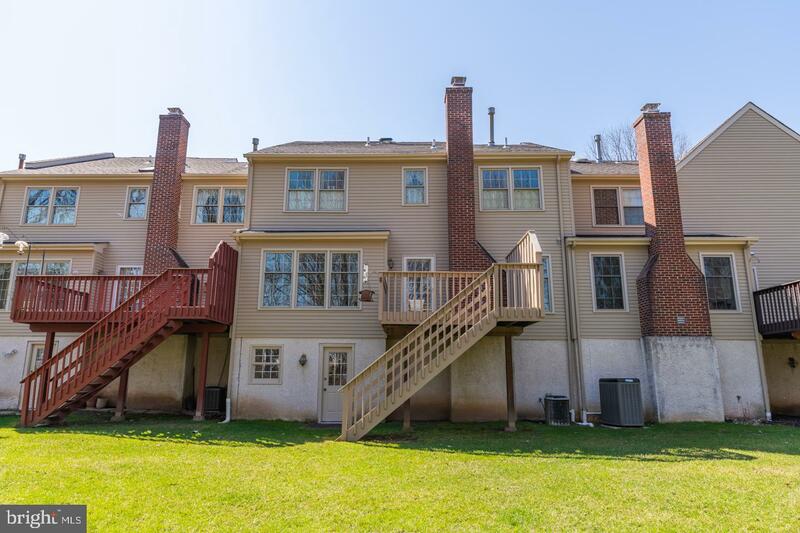 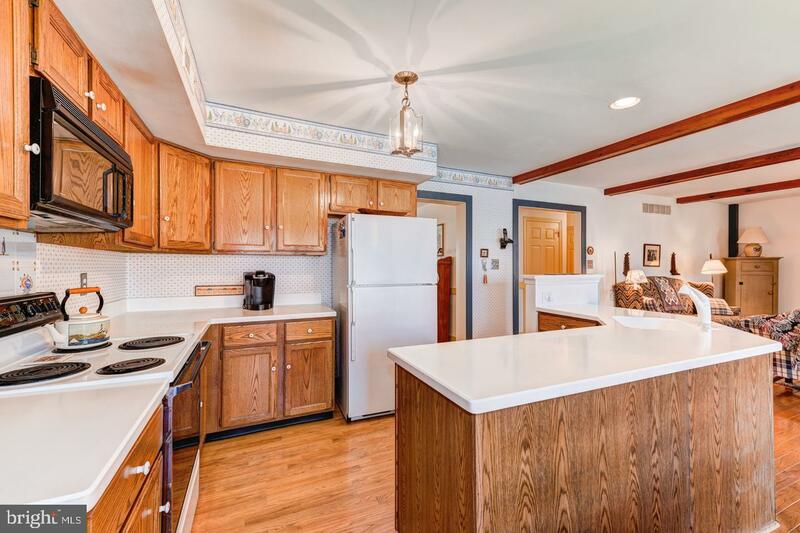 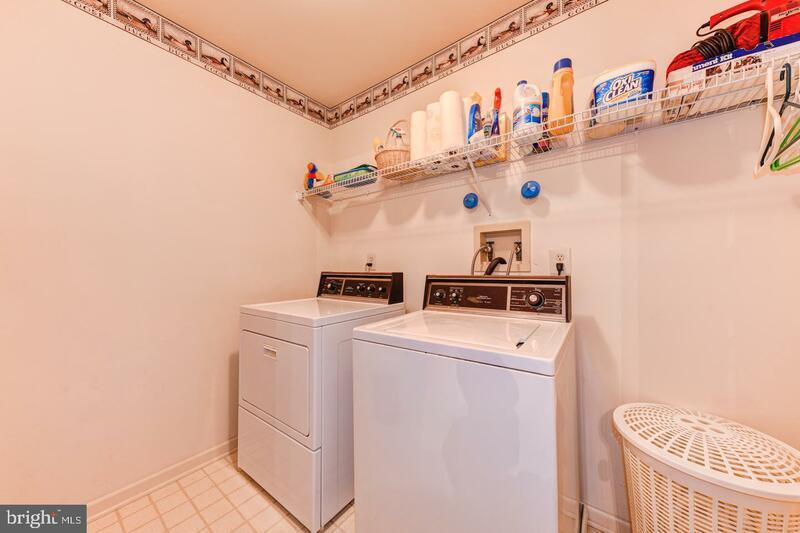 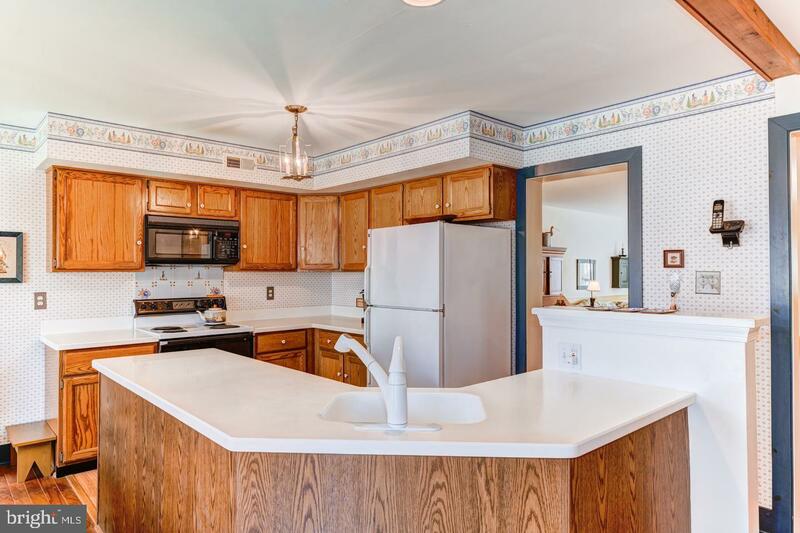 Close to shopping, major arteries and transportation this town-home has a great deal to offer at a great price!